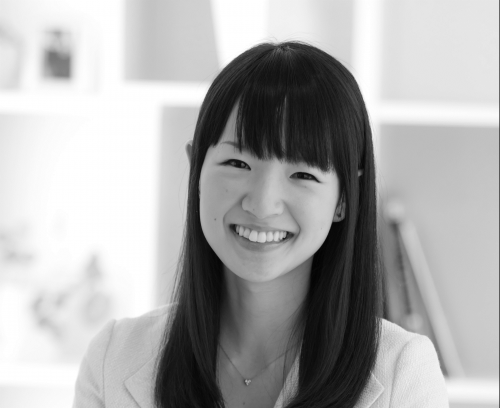 We asked Aron and three other professional organizers for tips. We also threw in some cleaning advice, since your kicks could probably use a good shine. 1. Keep your shoes off the floor. When it comes to storing shoes, your first instinct may be to chuck them on the floor of your closet. This is the wrong instinct. It makes your shoes harder to find when everything is flopped over each other in a big space. They’re also more likely to get beat up when you’re constantly moving pairs aside in search for your favorite flip flops. If you insist on sticking with the floor plan, though, implement some basic shoe organization. But as you’ll see, there’s much more you can do to keep your shoe collection tidy. 2. Avoid storing shoes in wire racks. After you move past the floor-heap option, your next thought is likely a shoe rack — one of those wire contraptions you can find in home goods stores. That’s also a bad call. Wire racks are also a nightmare for certain types of shoes (almost anything with a heel), so really, they’re more trouble than they’re worth. 3. Sort shoes into categories. Now it’s time to categorize the remaining everyday shoes even further. Similar styles should stick together. Shoes you wear to work should be in one group. Shoes you’d wear out to dinner might be in another group, and shoes suited for doing a lot of walking could be in a third group. Think of the activity you’d wear each pair of shoes for, so that when it’s time for you to head out for that event, you know exactly where to look. 4. Assess whether you need a separate shoe storage solution or not. Some people collect shoes the same way grandmas supposedly collect Christmas sweaters. Maybe you’re one of those people. If you are, then you know that telling shoe enthusiasts they need to pare down their stash isn’t going to do anything. But since closets have limited storage space, think about whether you realistically need to invest in a separate storage solution for shoes. Speaking of IKEA, the Finnby, Hemnes (pictured above), and Brimnes bookcases are all adjustable, and all welcome your wedges. 5. 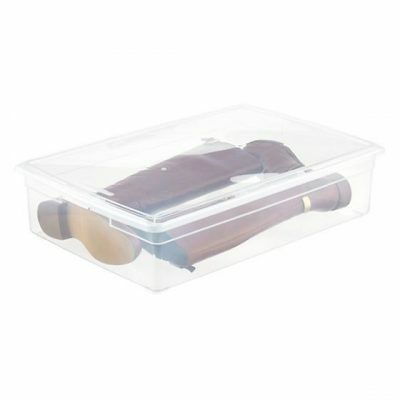 Use clear shoe boxes with lids. As any organization pro will tell you, it’s harder to pick out clothes and accessories when you don’t know what you’re looking at. Stuffing everything in a tub makes it impossible to imagine your options, so when you’re sorting your shoes, try to keep them as visible as possible. 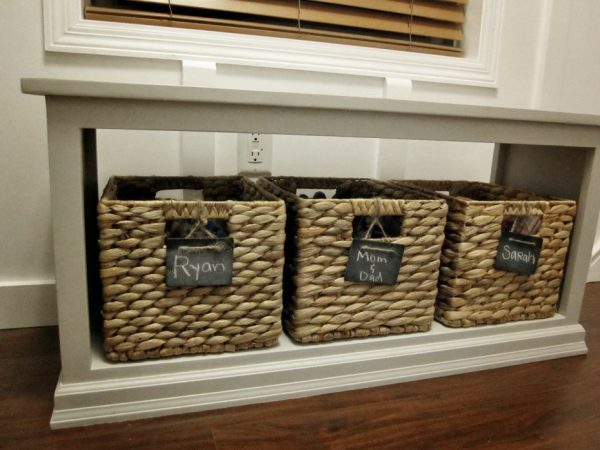 If you’re using shoe storage bins or boxes, go for the see-through options. If you’re getting a shoe organizer, look for ones with clear slots. Prefer to reuse some of the shoeboxes you already have? Stick a picture of the shoes on the outside of each box. This easy visual aid will help jog your memory in the morning, and prevent you from tearing your closet apart while you consider your outfit options. 6. Get some shoe bins. 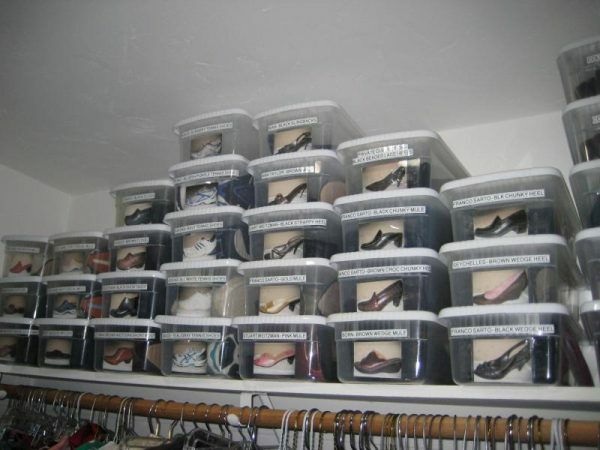 Shoe bins are stackable, they’re widely available, and they’re usually transparent. They can store much of your shoe collection (except for tall stuff like boots and high-tops) in individual, easy-to-see spots. 7. Store fancy heels at the top of your closet. Dressy high heels — i.e. the ones Carrie Bradshaw rocks — are rarely the kind of shoes you wear every day. Even if they are, they don’t fit easily into the shoe slots in an over-the-door organizer. And since fancy high heels are more delicate, they’re easier to knick in bins or cubbies. 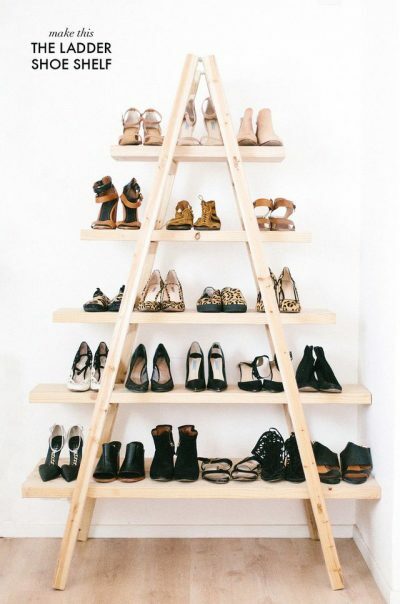 According to several professional organizers, the top shelf of your closet is one of the best places to store shoes. Lowenheim recommends storing your shoes up there in shoeboxes with corresponding pictures taped to the front, while Nancy Heller of Manhattan-based Goodbye Clutter suggests a display. 8. Store flats, sandals, and slip-ons in over-the-door organizers. Shoe organizers that hang over the closet door can be lifesavers — particularly for lightweight, casual shoes since you can bunch an entire pair into one slot. But if you have a sliding closet door, or just don’t have the space for the standard 24-pocket organizer, Lowenheim recommends a slim vertical organizer that ties over the closet rod, like this Target find (pictured above). 9. DIY sandal holders using wire hangers. 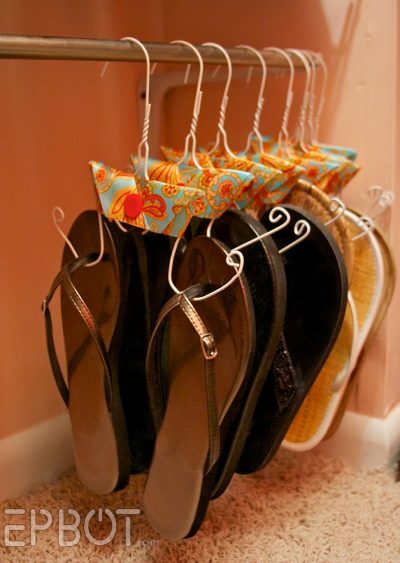 One of Pinterest’s favorite DIY shoe storage ideas is fitting sandals and flats onto ordinary wire hangers. To do this, cut the bottom rung off a few wire hangers. Next, use a plier to bend the ends into curled hooks. You can just stop there — the thongs of the sandals or the tops of the flats will hang off each hook — or you can really DIY this thing with some custom ribbon hanger jackets, a la Epbot. Depending on their length, boots have a tendency to flop over and take up a lot of unnecessary floor space. To keep them in shape (literally), use rolled-up newspapers or magazines, or even old plastic bottles. 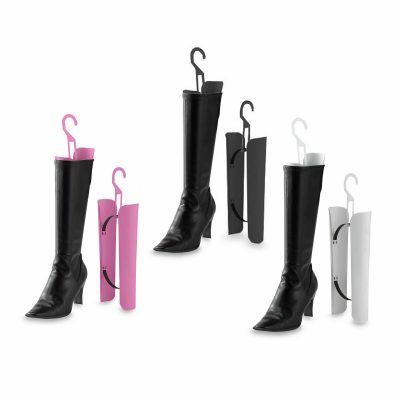 So-called boot shapers like the ones pictured above are also easy to find at stores like Bed, Bath & Beyond. Several commercial boot shapers also come with a hook on the end for this very scenario. Take advantage of it. 11. Use vinegar and polish to make leather boots look new. The first step in boot care is protecting them from the elements. To prevent water and salt stains come winter, spray your boots down with a waterproof spray like one from Kiwi, which makes separate protectants for suede, leather, and other materials. If you’re looking to spruce up your leather boots, saddle soap should take care of any scum they’ve collected. As for how to remove boot scuffs, dip a damp cloth in baking soda, scrub the offending area, and then wipe off the paste with a clean cloth. After you’ve taken care of the grime, shine your boots by spreading an even coat of your preferred polish with a rag or brush. You can also find boot care kits with foam applicators in your local drugstore if you’re short on time. 12. Clean suede boots with talcum powder, a brush, and a dry towel. Not sure how to clean suede boots? Simply brush off any scuffs or stains. Pencil erasers and emery boards can also help eliminate problem areas. Also, never use water to clean suede. Water will leave a stain, and you’ll be really mad at yourself. If your suede shoes contract a liquid stain by accident, from rain or another liquid for example, put talcum powder on the stain and let it sit overnight. In the morning, you guessed it, brush off the debris. If these were any other kind of boots, you might be tempted to add a coat of polish to complete the clean. But guess what’s another no-no for suede? Shoe polish, which will only ruin suede shoes. If your suede shoes are looking drab, we recommend buffing them with a clean, dry towel. 13. Consider storing sneakers in shoe baskets or cubbies. Since sneakers are athletic shoes by nature, they’re built to withstand a little more rough-housing than, say, ballet flats. Which means you can get away with storing sneakers in slightly less precious shoe storage options. But of course, if you consider your vintage Air Jordans your most prized possession, you might want to keep them in a box on the top shelf, just like those Jimmy Choos. 14. Keep sneakers clean and smelling fresh with Mr. Clean. If your sneakers carried some stench back from the gym, sprinkle baking soda inside each shoe, let it sit overnight, and dump the powder out in the morning. The offending odor should be gone. Which means it’s time to move onto ridding your sneakers of dirt and other residue. To remove simple stains from sneakers, wipe them down with a cloth. Or scrub them with a spare toothbrush. 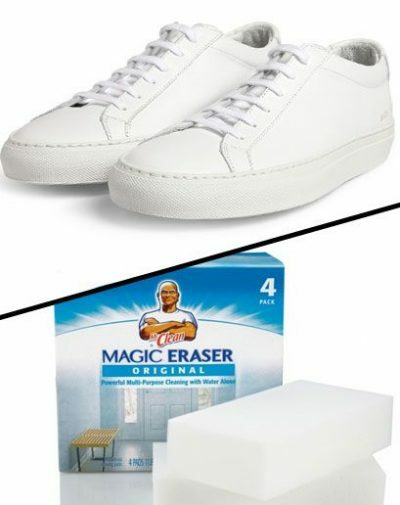 To remove tough scuffs from sneakers, sneakerheads swear by Mr. Clean magic erasers and Jason Markk’s premium shoe cleaner. And don’t forget about the shoelaces. The next time you’re doing laundry, toss them into the load. You can put the laces in a laundry bag or pillowcase so they don’t get tangled in the washing machine. Prefer to clean shoelaces by hand? Brush any loose grime off the laces with an old toothbrush. Soak the laces in hot water and bleach. After a few minutes, scrub the laces again with the old toothbrush (be sure to clean it before you do this). Rinse the laces off with water. Let the laces air dry. 15. Effortlessly store shoes, boots, sneakers, heels, and more in MakeSpace. Wish you could easily store all your shoes and more without having to take up any space in your home? We’ll pick up everything (including large items like furniture, snowboards, skis, AC units, luggage, and more) and store it in our secure and temperature-controlled storage facility. We’ll also create an online photo catalog of your stuff so you never forget what you packed. When you need something back from storage (like your dress shoes and tux that you packed into a MakeSpace bin for example), we’ll deliver it to you. 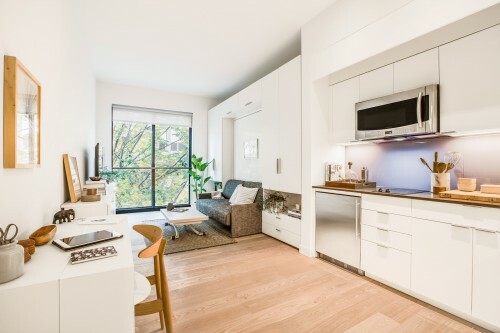 Schedule a MakeSpace pickup today, and enjoy your new infinite closet.